Then, critics say single payer health insurance would be too expensive. 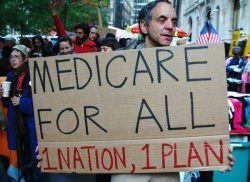 We talk with economist Gerald Friedman, who developed Bernie Sanders’ Medicare for All plan. He answers his critics point by point. Now Potter has started a nonprofit investigative journalism site, Tarbell, to expose the inner workings of the healthcare industry. 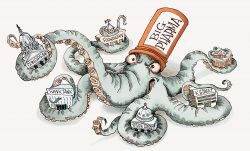 Tarbell went online in November with a series of investigative articles by different journalists about the influence of Big PhRma over our political process. We called up Wendell Potter to learn about the results of those investigations and to find out more about Tarbell itself. Since then, Sanders has come out with a Medicare for All Senate bill that has actually garnered the support of sixteen Democratic senators, including some potential presidential hopefuls. Among them are Elizabeth Warren and Cory Booker. But the details remain vague. 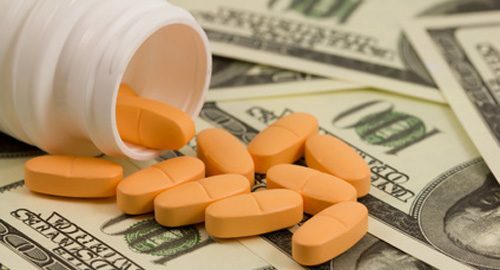 So, would single payer really break the bank? We called up Gerald Friedman to ask him to address criticisms of his plan so we could make up our own minds.